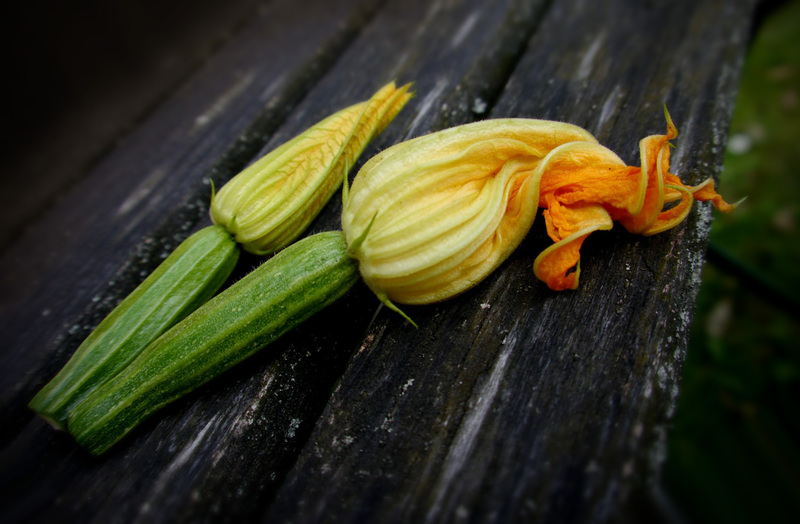 Although Melbourne’s zucchini season is tapering to its end, just a little further north of us, in more arid areas around the Murray, it’s still possible to get the odd young zucchini or even zucchini flower in season. Luckily, most Australians can able to put their hands on a fairly local local courgette at almost any time of the year. Once the season is finally over down south (around the end of May), these summer gourds are being harvested in conjunction with the dry season up north in our more tropical zones. Blackjack is Australia’s most common variety, followed by black beauty – these are the dark green ones that were pretty much all we knew until we were introduced to the Mediterranean white zucchinis (called couza in the Middle East), goldens and funky heirloom varieties like Costata and Crookshank. Then of course, there are also all the different shaped ones – patty pan squash, golden eggs and those beautiful little Round de Nice tennis-ball sized, sweet and firm squash. 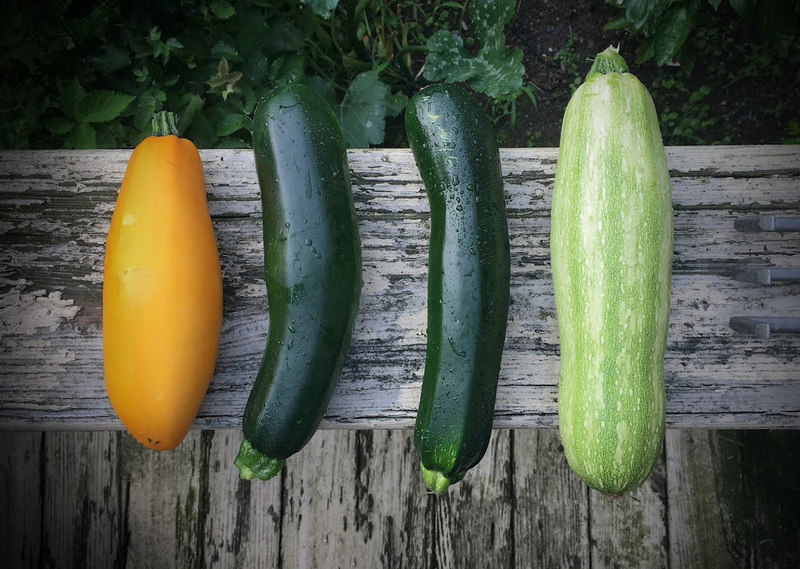 Most zucchini are best when still fairly small, before they become too bitter and woody. Choose ones that have firm flesh without wrinkles or scrapes, fruit that feels heavy for its size. If buying flowers, make sure they are tightly closed, and if they are female, that the fruit attached is firm and shiny (males are usually available early in the season and will have no squash attached). Squash keep very well in the fridge, for at least 5 days – longer if they were just picked when you bought them. Keep them in a plastic bag or container in the crisper, away from other vegetables that may rot against them, and try not to bump them around. Flowers only keep for a day or so – always store in the fridge, even if you are cooking them that evening. If you find yourself with a huge harvest all at once, zucchinis pickle up beautifully – either in a fairly natural state like in this zucchini mustard pickle, or this one, which is more like a relish. It’s possible to freeze zucchini, but they tend to thaw with a mushy texture, consigning them to use only in soup. This can be avoided by blanching pieces for one minute (no salt) and cooling before adding to a freezer bag, or some swear by shredding and pushing the water out first. Zucchinis don’t need to be cooked – they are at their least bitter when completely raw. The texture is a little spongy when they are in large pieces however, so it’s best to mandolin, peel or spiralize them if you intend to use them this way. 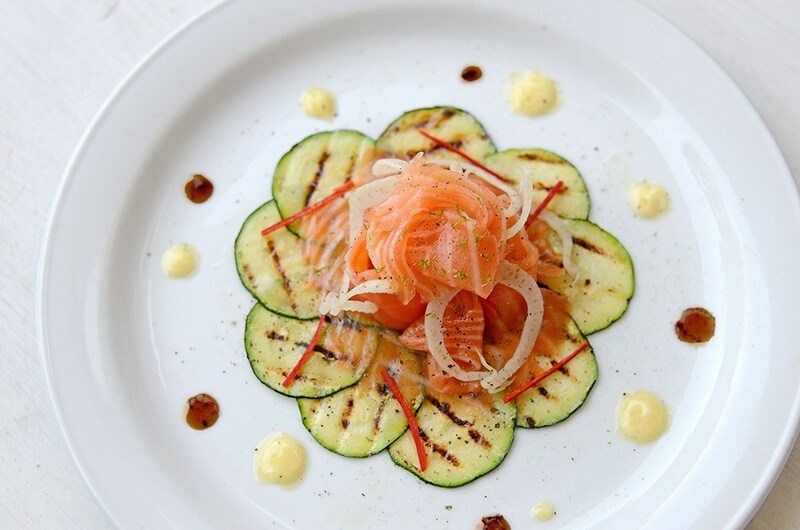 If you are going to cook zucchini, you’ll find they are very, very versatile. They can be steamed to al dente, char-grilled, sauteed, roasted, stuffed, stewed, deep fried or baked into cakes. I use zucchinis nearly every day. I saute them for breakfast with bacon, spinach and peas. I shred them and cover them with last night’s leftovers for lunch. I hide them in bolognese or meatballs, throw them in a veggie stir-fry. 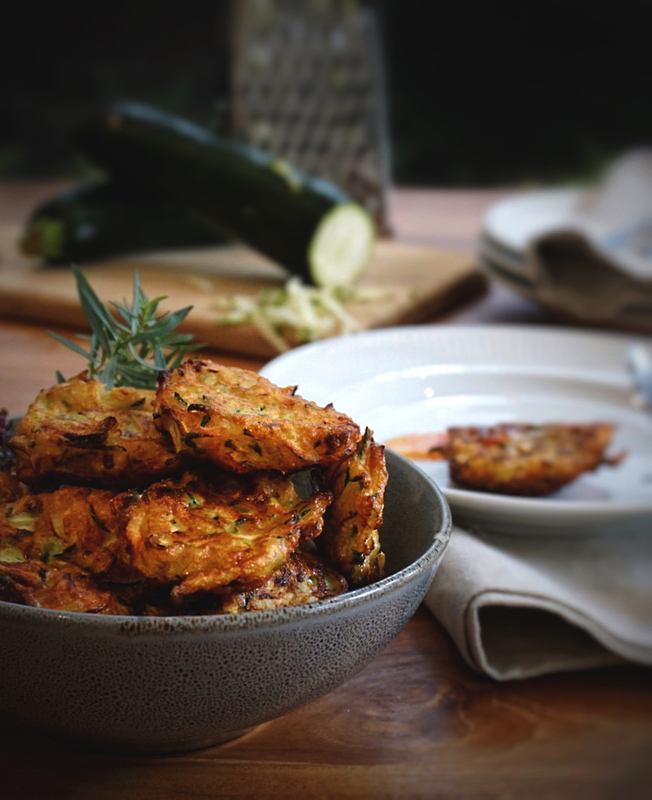 The kids don’t like them that much, but as long as I keep the quantity in check, they do tend to eat them under sufferance (except when I make zucchini fritters, which they eat by the plateful). On this site I’ll shortly be putting up a tuna pasta with zucchini and a Spanish omelet, but you’ll find already a couple of other recipes where zucchini is a key if not the primary ingredient – this one, where it is used as a carpaccio base with smoked salmon, this where it is a flash of green in a tuna pasta, and this one where it is served as a refreshing crunch with a roesti.